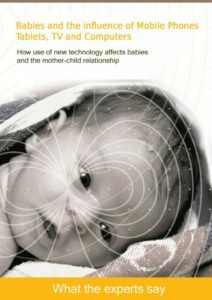 How use of new technology affects babies and the mother-child relationship. What the experts say. *New up dated version to be published late 2019/early 2020. Originally published in German by Spielraum – Lebensraum, edited by Maria Luisa Nuesch. Translated by Martina Henn, edited in English by Clare Kimber. A collection of expert voices give their unique perspectives on the impact of screen based media on the mother-child relationship. Speaking exclusively for this booklet, the voices of paediatricians, neurobiologists, psychologists, midwives, breast-feeding counsellors, media specialists, a grandmother (and a new born baby) – combine into a moving and powerful call to action…to tune in to our children, by tuning out the inteference from new technologies that surround us. All profits from the sale of this booklet support the work of Cardiff Steiner Early Years Centre Ltd (Cardiff Steiner School) a charitable company which run parent and toddler groups from Cardiff Steiner School in Cardiff, Wales, UK.